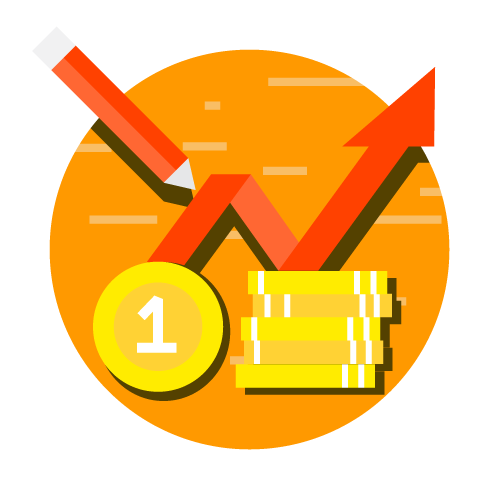 new and more effective mode of advertisement, discovery of new markets, etc. Success of any of these innovations brings a handsome increase in profits. 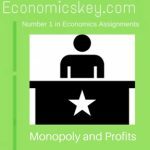 Profits increase because either the cost of production is lowered or the product fetches a higher price. It may be pointed our, however, that profits owing to innovations are only temporary and tend to be competed away. Soon the innovation come to be imitated by the rivals and they cease to be innovations or lose their novelty. Only when the innovation is got patented can the originating entrepreneur continue to enjoy it. But in a dynamic world and progressive economy, the superior entrepreneurs continue to make innovations and enjoy the profits thereof. As Stigler observes, ‘These profits may exist for a considerable time because of the ignorance of other firms of their (innovations) existence or because of the time required for the entry of new firms. More important, the successful innovator Clll continuously seck new discqui Iibrium profits since the horizon of conceivable innovations is unlimited.” S We may also remember that profits are both the cause and effect of innovations. 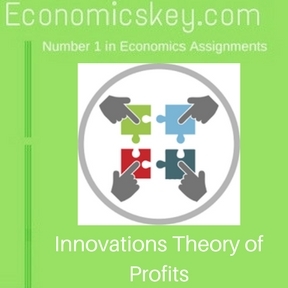 Profits serve as a necessary incentive for making innovations; hence profits are a cause of innovations. But since innovations result in profits, profits are the effect of innovations. Criticism. Schumpeter’s innovation theory can be criticised on the same ground as Clark’s dynamic theory: (a) Schumpeter also like Clark ignores uncertainty as a source of profit. (b) He also denies that risk-bearing plays any role in the determination of profit. Risk-bearing Theory of Profits Most people do mind the risk which makes • them hesitate to take a plunge in business. The greater the risk the higher must be the expected profit in order to induce them to start the business. All businesses are more or less speculative, and unless the risk-taker is going to be amply rewarded, business will not be started. As risk acts as a great deterrent, the supply of entrepreneurs is kept down, and those who do take the ‘risk eam much more than the normal return on capital. 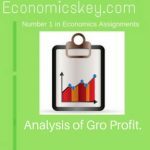 Hence, profits are regarded as a reward for risk-taking or risk-bearing. 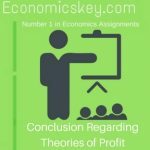 This theory of profit is associated with F. B. Hawley’s name. 6 He says profits is the reward for risks and responsibilities that the undertaker .subjects himself to. Drucker mentions four kinds of risks: replacement, risk proper, uncertainty andobsolescence. Replacement generally known as depreciation, is calculable and is counted as cost. Obsolescence is the least calculable but is also an item in the cost Risk proper (i.e., risk of marketability of the product) and uncertainty are not costs in the conventional sense, but are charges against profits. They may be called costs of staying in business. Physical risks like fire, accident, etc., can be provided against by insurance, and are, therefore, included in costs. There are, however, risks that cannot be foreseen, and hence cannot be provided against. It is for undertaking these risks that the entrepreneur is rewarded.